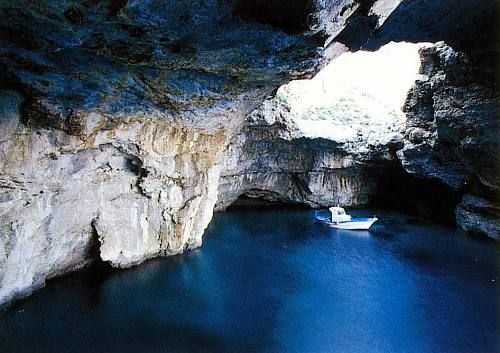 Among the Egadi Islands, Marettimo is the one lying to the western extreme. The green sloped mountains that form Marettimo are sprinkled with whitish houses dropping into a small harbour full of fishing boats gently moving up and down. Among all the islands this is the one which has not been exploited much as to tourism and is still therefore the most natural. Due to tuna overfishing its inhabitants are turning to tourism as another economic source. This minute island has witnessed how accommodation to attract tourists has increased. However, the island is not yet overflowing with tourists. During the wintertime the island almost stops operating. Cala Sarda, Cala Nera and the breathtaking Cala Bianco are the bathing beaches which provide the best Marettimo has to swim. Fishing trips around the island are set up by local fishermen who see in fishing tourism another source of income. The island still keeps its uncorrupted nature accounted for the only one road along the island, a few cars and electric carts, which are the main means of transport. Few but good is what counts when we talk about restaurants. Il Veliero offers dishes prepared with ingredients chosen on the same day. They feel like mother’s food: safe and loving. Il Veliero boasts its own Slow Food Movement badge proudly displayed and deservedly awarded. Il Timone also is a Slow Food Movement bearer which prepares palatable food. Mains are based exclusively on fish and seafood. There is also antipasti and fresh pasta of which they take great pride in. Il Pirata bases its dishes on fish and seafood, the pride of the island. 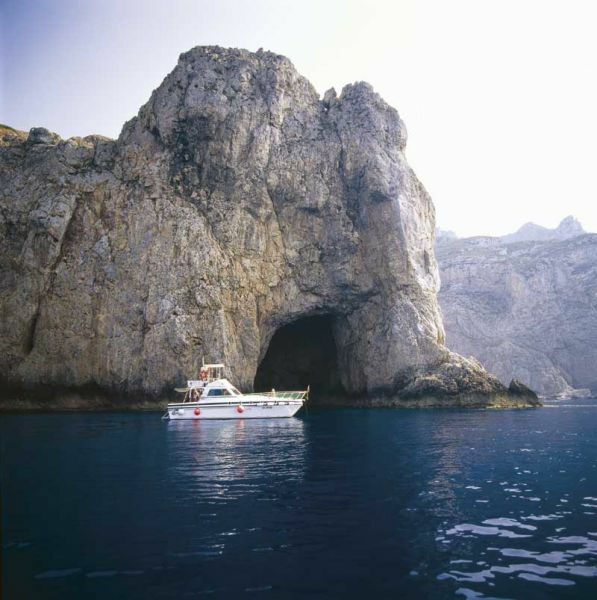 BY BOAT: there are ferries and hydrofoils connecting Trapani to Marettimo, Levanzo and Favignana which leave more frequently in the summertime than in the other seasons. Marsala is also connected to the islands. BY PLANE: the nearest airport is Trapani Birgi ( 14 km), whereas the airport of Palermo is 85 km away. MORE TIPS: Marettimo is small enough to stroll around which is also the best way to make the most of the island.